If competitive bodybuilding is situated at the top of the gym pyramid, how do non-competitive bodybuilders identify other than through the derogatory label of “gym rat”? - or else the critique of weightlifting/bodyshaping as a form of self-improvement and begin to formulate a crucial doubleness that shapes the athletic experience in the gym. Rather than occupying a wholly co-opted space or an entirely transformative space, the noncompetitive athlete oscillates between transcendence and immanence, tech time and biological time. 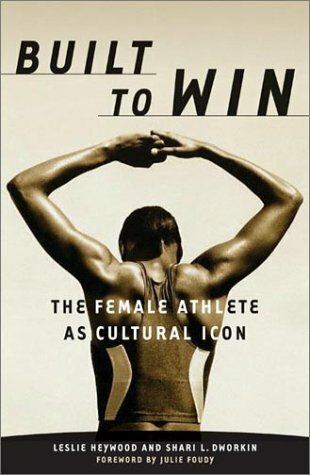 A sense of immanence, a reconnection to biological time as experienced through physical activity, has been termed by sociologist Nigel Thrift as an ‘immersive practice.’ Arguably, the immersive is the alternative to the competitive model of sport and its relentless focus on the bottom line of winning. If one shifts the lens away from a bottom-line focus on competition and the zero-sum game of winning, a different experiential model based around the idea of immersive practices begins to emerge within sporting practices that reconnects us with biological time (this is why “being in the zone” is also experienced as being “out of time”) and sheds some light on why the “gym rat” makes the gym his or her home away from home. Once, a long time ago, I was in love: iron, muscles, veins, the incredible rush of the pump, the exhilaration of the 350 squat, the 225 bench. This, I thought, was the great equalizer, some precious, off-the-beaten track place where gender assumptions and restrictions fell away at the first lift and every vestige of historical constructions of female weakness floated away like San Francisco fog. Here, in the gym, I fit in. Here, in the gym, I had a place. A validation of my deepest longings, convictions, an unwavering sense of my own gold. Once, right about this time, I was one of 'the diseased,' though I never competed, not in bodybuilding. I never did steroids. But I did mainline on creatine, energy drinks, and protein powder in 10-lb containers. My everyday wardrobe included lifting straps, a thick leather weight belt stained with 20 years of sweat, and funky, thick-striped tights, made by a now-defunct company called Hotskins featuring in-your-face shades of red, purple, and black. The way people reacted to my body made it clear that they understood it was a 'silent, raging, scream of dissent': down the hallways near the English Department I'd stride in my muscle shirts, lats flared, biceps on display, my wolf hybrid in tow, and the hallway would clear, office doors discretely shut. But I didn't just work on my body. I wrote about it, continually, in books and articles that spanned the first ten years of my career. When I wasn't spending six hours doing 100-repetition "Arnold Squats," I was at my computer writing about doing them. I'd go from one activity, to the other, then back again. There was nothing else. I was in love. And then . . .
- so unlike when, in the privacy of my own home, I lingered over images of bodybuilders in Flex and Muscle and Fitness and Women's Physique World, so unlike the safe space of my gym where everyone had know and supported me for years. Here, on a cold, gray evening, a vanished world creaking through the rusted signs lining the boarded-up windows of Main Street, the distance between what bodybuilding signifies, the fantasy structures it sustains, and what it actually is, the actual place that it has in the world and the audiences it serves, was simply too great for me to deny. The women in black stilettos or clear platforms backstage in that high school gym, their red press-on nails, hair in big curlers, clutching a dumbbell to pump themselves up, the audience with its Carhartt jackets and gold chains, the air outside so cold you could hardly breathe, the old-model Chevys in the parking lot with their sagging mufflers and mismatched doors, a high-school auditorium never refurbished, dirty carpet, seats torn, splinters of wood shearing off a well-worn stage - this was the staging area for all my bodybuilding dreams. Yet even given the starkness of this scene, my impressions of impoverishment took years to sink in. Instead I tried to give these impressions a philosophical justification: bodybuilding is a defiant performance in the face of the abyss, a brave acceptance of non-meaning, a disavowal in which you knew all the limitations and myths, but did it anyway. In Bodymakers, for instance, I describe Lowenburg's portraits of bodybuilders as revealing 'how much our poses -- detached from them though we may be -- mean to those who strike them, a sense of how those poses, though ontologically meaningless, are nonetheless all we have and create complicated patterns that join us.' As if the meanings we impose create a world all their own. Like the bodybuilders, like my postmodern academic compatriots, I was a big believer in the power of self-creation. Postmodern narratives, and perhaps maybe especially the American postmodern, with its roots in the mythology of American exceptionalism (the idea that America is special, exceptional, because of its history as a nation built upon the strength and individuality of freedom fighters and frontiersman), could make anything seem grand. But on that dark Pennsylvania night, bad lighting casting shadows on a rickety stage, the doubts began to creep in. - everything Kaye told herself about her position as playwright/director, as well as everything Laurie Fierstein -- the bodybuilder who was the show's conceptualizer and organizer -- told herself about her position as creative visionary body artist, and everything the female bodybuilders told themselves about what their lives and bodies and activities meant, were revealing themselves as palpably shabby, hollow. Outside of bodybuilding's insular subculture, bodybuilders, perhaps particularly female bodybuilders, can seem like the bewildered and beguiled practitioners of a much broader philosophic world-view and economic practice. In this light they might seem to function much like the remainder, what Derrida called le reste, of American exceptionalism, that thing that the system just can't accommodate or swallow, the thing that reveals the workings of the system itself. Their distorted jaws, their deepened voices, their fake nails, breasts, tans and frizzy hair,and, worst of all, their eyes like children who have been hurt and disappointed one too many times, all reminders of the relentlessness of this fantasy machine, so powerful it persuades you to give up absolutely everything, your very flesh, to its flim-flam stories and car-barker whims. 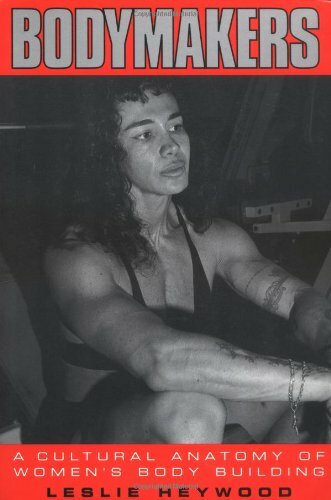 Working with the female bodybuilders, Kaye writes, 'you saw mythic images of strength . . . Literally larger than life, they seemed untouchable, powerful in being exceptions to the rule. Yet look again, and you saw the hint of nervous girlishness that lingered in their ever-ready smiles and eyes that quickly scanned each others' bodies; you could have mistaken the scene for a high school bathroom on prom night.' Here Kaye marks the distance between mythic image and lived actuality that I began to experience backstage at that Pennsylvania high school, the dawning realization that the broad liberatory claims I'd been making for the practice of female bodybuilding were as much imagined as real (of course, my training in postmodern theory contributed to my thinking that the two are or can be one and the same). - show males becoming bodybuilders partially to overcome a sense of physical inadequacy and masculinity and to "get laid" and thereby boost the male ego. Bodybuilding, the thinking goes, makes one substantial, something more than a female sexuality that exists to support male fantasies of prowess, but the bodybuilding industry itself then does everything it can to resexualize female bodybuilders and make them precisely into the emptiness they are building themselves to avoid. My experience of this "real" that night was enough to make me turn away from female bodybuilding as a source of liberatory potential for women and girls, and instead turn to women's sports more generally. Looked at in this kind of doubting light, from a perspective of one who has begun to recover from 'the disease,' bodybuilding began to appear very different. Indeed, as the years wore on and the world horizon shifted from the glorification of dot.coms and the so-called "information economy" to a focus on ecological crisis and the externalities produced by the very companies that serve as its infrastructure, in the context bodybuilding begins to look even more absurd, even more excessive than it did in its heyday, when it more closely matched the goals of "grow or die" economics. From this skeptical perspective, one informed by the logic of 'the disease' but also outside it, one might ask, for instance, what Monsanto, British Petroleum, and competitive, steroid-based bodybuilding have in common, and be able to come up with a convincing answer. It might be said that the practices of all three institutions (factory farming, the petroleum industry, and bodybuilding) involve externalities of blatant damage and waste, that their practices are unsustainable, and that the specific ways in which they're unsustainable are rapidly converting them into historical anachronisms. 3) the "New Austerity" emphasis allows us to explore the potentiality of bodybuilding in a different modality: that of immersive practice (a sense of immanence, a reconnection to biological time as experienced through physical activity). Postmodernism was the word that aspired to describe the era of surfaces, the elision of content, the "image is everything" rush of consumerism that characterized the deregulated 1980s, a deregulation that ushered in the era of "globalization," and that preached an equality of image if nothing else. Every day was a form of theater, people playing with signifiers to make their look present the message of the day, image of the day, "self" of the day. A carnival of surfaces, a "be-all-that-you-can-be" free for all. Postmodern theory pronounced the death of the self, the author, and that everything was text - that is an endlessly re-arrangeable collection of signs that had no fixed, pre-determinate pattern of shape, and this was the true nature of reality according to this mode of conception. The perfect world for the emergence of the bodybuilder as a dominant cultural image, and bodybuilding as a mainstream practice. 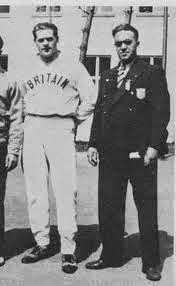 'That's when it hit me,' Fussell writes, describing his reaction to his fellow bodybuilders as he ate and lifted and dieted down with the best of them. -- more than any other bodybuilder, [Platz had] given up everything to reverse the course of nature. He had been born with a miserable structure, his hips wider than a yardstick, his shoulders narrower than a ruler. But through sheer industry, through set after set of 315-lb squats for 50 straight reps, through training sessions interspersed with vomit and blood, Tom hurdled these obstacles and became Mr. Universe. You don't like the body you were born with? You don't like the shape to which your genetics have contributed? That's okay, that's just fine, because you can physically remake yourself however you'd like. Here Fussell gets at the way the concept of postmodern plasticity combines with earlier ideologies of self-determination -- ideologies intrinsic to the larger cultural dream of American exceptionalism -- to create a cultural context in which bodybuilding could flourish for a time. 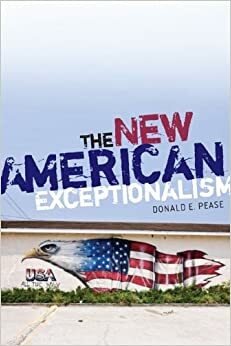 -- "American exceptionalism has been taken to mean that America is 'distinct' (meaning merely different) or 'unique') meaning anomalous), or 'exemplary' (meaning a model for other nations to follow), or that it is 'exempt' from the laws of historical progress (meaning that it is an 'exception' to the laws and rules governing the development of other nations)." Perhaps most influential to the American psyche is 'the belief that the U.S. was unencumbered by Europe's historical traditions' [Pease, 2009]. While the desire for a sense of personal sovereignty and power seen in bodybuilders may have universal inflections, there may be a particular "Americanness" for bodybuilding in that the ideology/fantasy of American exceptionalism has parallels with a bodybuilder's preoccupation with difference from "the masses." 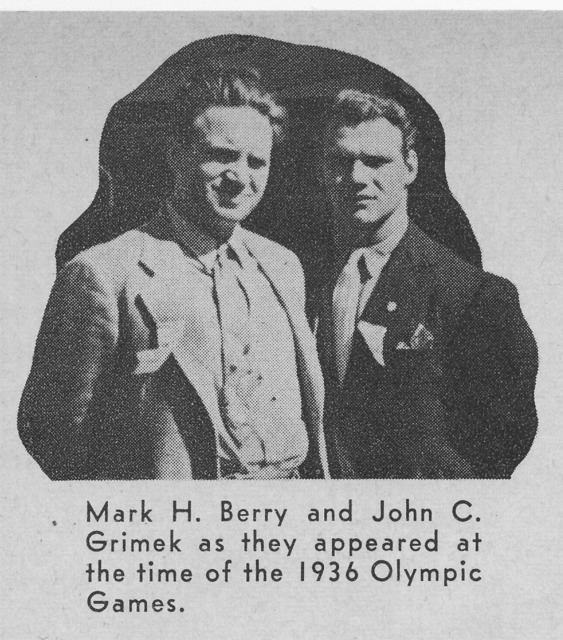 Like the bodybuilder who seeks to escape his genetic somatotype and remake himself to a better purpose and image, the ideology of American exceptionalism sought to excise the political, social, and individual body from its European and particularly British antecedents and start again a new foundation, the earlier foundation razed clean. The preoccupation with breaking free from the past, forgetting and ignoring the past, and starting to build anew is one that has been directly imported into bodybuilding psychology and subculture. Anomalous, exemplary, and unencumbered -- these three adjectives are key descriptors of bodybuilding lore, absolutely central to beliefs about the fundamental project bodybuilding becomes. As Fussell describes the attitude he and his fellow builders share: 'I want to look like something you've never seen before.' I understood. The shock value is all. It's saying, or rather screaming, 'More than anything else in the world, whatever it takes, I don't want to be like you. I don't want to look like you, I don't want to talk like you, I don't want to be you.' This uniqueness is something that is worked hard for, achieved, an undeniable difference encoded in the flesh. A difference worth, apparently, compromising one's long-term health, and even dying for: 'I told myself that taking steroids was a Faustian bargain. I was selling my soul to the devil in exchange for transcending what was permitted to ordinary mortals. I was my own alchemist, I said, transmuting the base metal of myself, the dross, into gold.' Transmuting the dross into gold, building a physique that is valued for its difference, exempt from the physical laws that limit the development of others, providing a physical ideal to which others could of should aspire, Fussell enacts the fundamental exceptionalist drama of the bodybuilder, neatly combining its different strands into a living, breathing work of transformed flesh. Historically speaking, bodybuilding began at the turn of the twentieth century, was mainstreamed in the 1980s when Arnold Schwarzenegger as The Terminator became the masculine ideal, and began to fall out of favor at the end of the 1990s, when on a mass scale gyms converted themselves into "fitness centers" and "no grunting" became a fitness center rule. At my own gym, my training partners and I were reprimanded by the gym owner for letting the local newspaper take a picture of us for a fitness article -- we were 'too big,' he said. He was running a fitness center, not a gym, and he didn't want to intimidate anyone. We talked about it indignantly for days, but we knew our days were numbered. Now, chains such as Planet Fitness market a "no judgement zone" were supposedly everyone can train without being evaluated for the quality of their physique, and grunting from the strain of lifting heavy weights is explicitly forbidden in the gym rules. The brief moment of bodybuilding hegemony was dead. -- Notice how ESPN showed a lot of bodybuilding shows back in the 80s and early 90s. Turn the TV on right now and you will see water polo, chess, hot dog eating contests and poker. But not bodybuilding. Our sport has always been a sub-culture, but with the mass monsters of today we took out every chance we had to succeed and make bodybuilding mainstream. I look at this as neutral, because bodybuilding is not a normal activity, and that's a part of why I love it and it's special to me. It's not for everyone. Personally I like the mass monsters because it sets out new goals in which me or you could go after [sic]. It shows that it's possible to achieve. I believe that for bodybuilding fans the turnaround to size is somewhat good, but when it comes to the general public we are taking ten steps back. from bodybuilding.com online discussion "In the World of Bodybuilding, How Big is Too Big?" -- the reported global 'abuse' of steroids among gym members - anomalous with the supposed healthism of exercise and widely considered dangerous and polluting - renders 'bodybuilder' synonymous with the pejorative label 'risk taker' in many people's minds. With Western scientific and popular discourse such deviancy is claimed to manifest in the materiality of the body. A possible long-term hazard of drug-assisted bodybuilding, not immediately apparent but instead dependent upon the probing of biomedical science, is damage to internal bodily organs such as the liver, kidneys and cardiovascular system. Moreover, the marking of deviancy on 'excessively' muscular fe/male bodies is in a more recognizable fashion - the inscription and projection of powerful cultural meanings - represents another possible risk for those bodybuilders who transgress the normative ideal of the 'fit-looking' body. Lee Monaghan, "Bodybuilding, Drugs and Risk. in "Critical Readings in Bodybuilding"
As Monaghan so convincingly shows, bodybuilders are well aware of public perceptions and exist in perpetual dialogue with them even as they take pride in their difference from dominant standards. Monaghan's study 'explores the sustainability of the "risky" practice of bodybuilding as participants endeavor to construct and maintain "appropriate" bodies and identities' [from: Bodybuilding, Drugs and Risk]. While Monaghan never comes to specific conclusions about whether bodybuilding is sustainable as a lifestyle, in the next section I will argue that bodybuilding, if it is performed as an immersive practice (what many call "weight training"), is sustainable over the life course, while competitive bodybuilding is anything but. As Monaghan points out, "bodybuilders" are far from a monolithic category, with variability informing the overall conceptions of the "ideal" body in terms of location, individuals within a specific location, and variability of that conception over a bodybuilder's lifespan. My analysis, while allowing that there are a wide range of reasons why people bodybuild, and very different understandings and formulations of its meaning, focuses largely on the underlying premise -- that growth (in this case physical growth of the already-mature body, facilitated by the (over)consumption of food, supplements, and in some cases, drugs) is good. Whatever meaning an individual bodybuilder may assign to his/her growth, I'm interested in exploring the symbolic connections between over-consumption as an individual practice related to bodybuilding, and over-consumption as an externality produced by the global economic fetish with growth. Just as the growth mandate in the global economy produces externalized environmental damage that results in phenomena such as climate change, the extinction of species, over-utilization of resources and destruction of habitat, the growth mandate in a bodybuilder's individual life is often similarly externalized. Moreover, the ideological shift from a blind emphasis on growth to a more moderate emphasis is paralleled by a similar shift in the mainstream fitness industry from the hyper-muscularity of bodybuilders as an ideal to the more general category of "fitness" as an ideal. While no one has the right to prescribe for any individual what is "too big," it can be observed that the "greening" of marketing and its emphasis on avoiding wastefulness has had the effect of further stigmatizing bodybuilders and their growth projects. My further point is that, as in all sports, bodybuilding in its competitive modality tends to incur externalities in a way that training in an immersive modality does not. Eating to the point of excess, consuming more than the body can process, bodybuilding's primary drama is first one of scale -- of continual, unlimited growth -- and it shares this aspect with the global economy, whose "grow or die" imperatives have 'taken place without reference to environmental consequences such a global warming, ozone layer depletion and the loss or irreplaceable scarce resources' [Brown, Chris, in A World Gone Wrong? Chapter 49, The Global Transformations Reader]. The use of Human Growth Hormone (HGH) can permanently enlarge the bones of the face, and in women, steroid use is also associated with permanent changes in voice. These externalities to the process of bodybuilding are simply ignored by most builders, who continue to practice and compete even though, in the words of one of Klein's subjects, 'When we're up there (on the posing platform), we're closer to death than we are to life'. Any attribution of "health" to the world of bodybuilding is purely specious. -- it had begun to dawn on me that the whole building thing might be merely a parody of labor, and I myself a well-muscled dilettante . . . the iron we lifted didn't help build a bridge or a battleship or a skyscraper. It enlarge our biceps and spread the sweep of our thighs. The labor of farmers and factory workers and longshoremen had a kind of dignity and purpose ours didn't. Of course, Fussell writes at precisely the time 'farmers and factory workers and longshoremen' were being downsized, replaced by corporate factory farms, or outsourced to Third World countries where people would work for pennies on the dollar. In the so-called "information economy" or "dot.com economy," labor was supposed to have transcended its material base, and all that was left was a "parody of labor," a profound disconnection -- like bodybuilding -- from what it signified, and what it was. 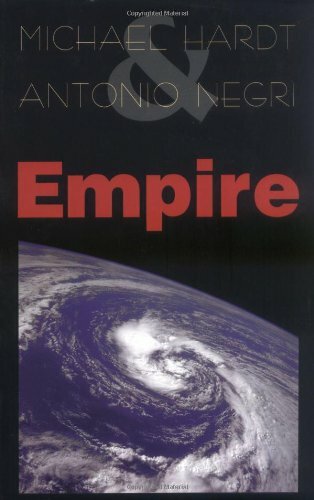 The post-industrial information economy signified a freedom from the dirt and grit of industrial production, when in actuality that production was merely outsourced to continents where the environmental restrictions were not so strict and labor was cheap. Bodybuilding signifies an escape from the self, from "natural" limitations, a signifier of potentially unlimited growth and power. What it is, however, is a kind of subordination of the self (as well as all one's expendable income) to the brutal routine of excess steroids, excess food, excess supplements, excess training, and finally, excess flesh. 'Between my clients and my own workouts, I was now spending twelve hours a day at the gym . . . I saw nothing but iron casualties' [Fussell]. Concerned about the poor, broken, down-on-their-luck builders he saw around him, physical wrecks doggedly returning to the gym each day with, over years, diminishing paybacks, he mentions his concerns to his friend. 'What, do you think this has anything to do with health?' Nimrod asked, shaking in mirth at the idea' [Fussell]. 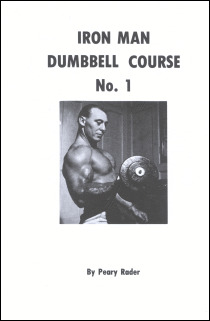 Always a highly individualized practice, bodybuilding, despite its subcultural aspects, has been seen, and perhaps largely experienced as a departure and disconnection from others: 'I loved iron not for its offering of a community,' Fussell writes, 'but for its promise of solitude, for the chance to escape from everyone and everything.' 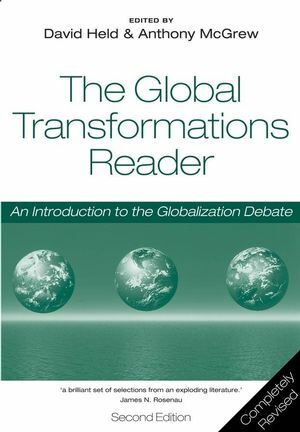 James Howard Kuntsler and many others diagnose one of the most pernicious problems related to globalization as precisely the erosion of community, the retreat of individuals into the enclaves of their McMansions, silent neighborhoods where no one speaks and no one knows each others names. In elegant and often hilarious prose, Kunstler depicts our nation's evolution from the Pilgrim settlements to the modern auto suburb in all its ghastliness. The Geography of Nowhere tallies up the huge economic, social, and spiritual costs that America is paying for its car-crazed lifestyle. The future, Kuntsler insists, will depend on the reestablishment of local production economies and vital communities who share goods and services on a daily basis. In such a future, bodybuilding would have no place -- unless it is practiced otherwise, in an immersive mode. This book is a major work in the field of environmental philosophy that sets out to describe and explain the many strands of thought that underlie and support the environment movement. Author Peter Hay says his aim in writing the book has been to provide a faithful account of 'the main feeder streams that flow into the swift-running river of Western environmental thought'. In his home state of Tasmania, Hay is well known as a poet and his lyrical style gives the book a fresh, timeless style. This is a role for bodybuilding that is counter-intuitive and has been little discussed, and its logic can be most clearly seen in those dimensions of sport that are defined not solely as competition, but also as an "immersive practice." While athletes experience that erasure when they construct their daily practice as a competition between each other leading to the "higher" goal of competing more effectively, something else can be seen as happening simultaneously alongside the reckless quest for "perfection" in these terms. That "something else" is an alternative experiential modality. This is an experience variously represented as "being in the zone," "flow," being outside of the usual sense of time (the sped-up, hyperreal of technologized time), or being connected to something larger. This kind of effortless physical state of extraordinary achievements marks a different kind of experience than that measured by the scales, measuring tapes, and record books of technologized time. This sense of immanence, a reconnection to biological time as experienced through physical activity, has been termed by sociologist Nigel Thrift as an "immersive practice." "Immersive practices" are those that constitute a "background" within which 'nature is encountered as a means of gathering stillness, both inside and outside the body. A central component lies in the temporality of the practice' (Thrift, quoted in Macnaghten , Phil ( 2003 ) ‘Embodying the Environment in Everyday Life Practices’, The Sociological Review, 51 ( 1 ) : 63 – 84). That "temporality" is the kind of flow state that physical practices so readily foster. Sports which take place out of doors more easily engender this state of flow, but even if not practiced outside, as is the case with most weightlifting, one can still experience this physical practice in this modality if the state of mind is right. Flow. "In the zone," "athletic high," "creation space," "optimal experience," call it what you will, it's a silent enclave, a soft bed of pine needles hunkered down between the protective branches of enormous trees. Neurologists will tell us it is electrical impulse, neurons igniting in the brain. Mihaly Csikszentmihalyi, who coined the term, will tell us it is focused attention, the space where we impose order on the chaos and entropy of life (Csikszentmihalyi, Mihaly ( 1990 ) Flow). It is beauty and meaning, it is quiet and calm, it is everything that gathers in us channeled forward to some end, the goal that is paradoxically the moments themselves, sped up, slowed down, outside time, suspended like a spider spinning and dancing its way across its web. And catch flies I might, but as Joseph Conrad's plaintive narrator Marlow says, 'it is like a running blaze across a plain, like a flash of lightning in the clouds. We live in the flicker -- may it last as long as the old earth keeps rolling! But darkness was here yesterday' (Conrad, Joseph ( 1988 ). Heart of Darkness, ed. 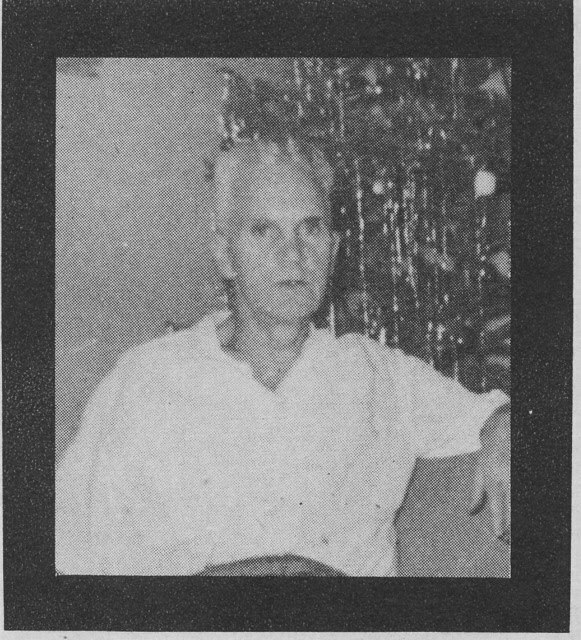 Robert Kimbrough, 3rd edition). Flow is flicker, flicker flow, channels of energy gathered and released, where self-consciousness disappears, chemical signals conjoined into a steady-state where you and it are noe. 5) keep raising the stakes if the activity becomes boring. 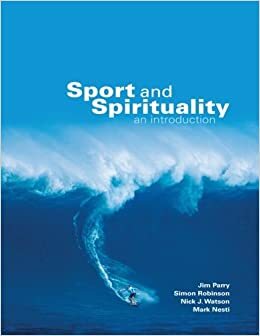 [Parry , Jim , Robinson , Simon , Watson , Nick J. and Nesti , Mark ( 2007 ) Sport and Spirituality: An Introduction ( London and New York : Routledge )]. Sport experienced as an immersive practice can involve competition -- training hard to perform your best -- but it can also involve the pure joy of sheer participation, an appreciation of the body in movement, a way to step out of the ordinary frenzy of our daily lives filled with the barrage of things to get done and instead experience pure absorption into the activity itself, and a supsension of all other distractions. Sport formulated as an "immersive practice" takes a practitioner out of tech time and into biological time. The immersive is an alternative to the competitive model of sport and its relentless focus on comparison, on the bottom line of winning to the exclusion of the bodybuilder's health, which in turn embodies the global economy and its relentless focus on economic growth to the exclusion of other factors such as public health and human welfare. If one shifts the lens away from the zero-sum game of winning, a different experiential model based around the idea of immersive practices begins to emerge within sport that reconnects us with biological time (this is why "being in the zone" is also experienced as "being out of time"). The immersive modality is only possible separated from the competitive, comparative world of bodybuilding where your lifting (and other) practices have the end goal of making you bigger, better proportioned, and with a lower bodyfat percentage as opposed to anyone else involved in the same activity. It would involve lifting that foregrounds how you feel and backgrounds how you look, and that sees other lifters not as competitors in reaching a particular physical ideal but rather as people who appreciate a similar kind of physical practice -- more like yogis, whose focus in their practice is internal, and rooms that they practice in usually don't have mirrors in order to reinforce this focus. All the health benefits of lifting -- stronger muscles, bones and joints, mood elevation, heightened metabolism, ad everyday, functional strength -- accrue without competition. A form of bodybuilding that is sustainable might be reformulated and practiced differently in such a way that the focus is no longer on growth but on functionality and health, a different kid of building, a form that, indeed, many bodybuilders would not recognize as bodybuilding but rather some lesser, ordinary practice. Nonetheless, the power one feels when lifting, the links between the movement and the breath, the sense of complete focus one can experience as an end in itself would be an immersive bodybuilding, a bodybuilding practiced otherwise that is more congruent with the present historical moment where everything, including bodies, are being downsized. Maybe it's as simple as calling it "weight training" rather than "bodybuilding." Still, it is "weight training" done and experienced in a particular way. Like Americans struggling with the legacy of outsized American exceptionalism and confronting their actual, less prominent place in the globalized world -- part of a much larger network, not "special" or different -- in order for their practices to be sustainable, bodybuilders might see themselves in less narrow terms such a 'more than anything else in the world, whatever it takes, I don't want to be like you. I don't want to look like you, I don't want to talk like you, I don't want to be you.' (Fussell), and more in terms such as 'my physical practice tangibly reminds me of my materiality as part of a much larger increasingly vulnerable ecosystem, and we need to find a way out of this together.' De-emphasizing preoccupations with measurement and size, bodybuilding as an immersive practice can participate in a re-conceptualized 'flow' modality that brings the individual and his/her bodily processes and practices into alignment with the world around them, the beginning of a physical practice that might lead to a different conceptualization of and relation to the larger world that is sustainable: one that understands the relationship between one's practices and those of everyone else, one that experiences immersion in physicality in order to conceptualize oneself not as a machine but as a flesh and blood materiality irrevocably connected to the bodies of others, and those bodies to the larger ecosystems that are the precondition of our existences. Question: I wrote to a friend of mine who is a bodybuilder and he said he never got any real results through dumbbell training until he started using all the weight he could handle for 5 to 10 repetitions. A leading health magazine advocates 8 to 10 repetitions. Mr. Eells advises the student to use 20 repetitions. Who am I to believe! A writer of a certain magazine also made this statement -- to gain weight strive to handle more weight and use less repetitions. Aren't the Deep Knee Bend and the Breathing Squat two separate and distinct exercises? In the D.K.B. you're concentrating on the legs. In the Breathing Squat you're concentrating on breathing and developing the chest. Don't you think it's a good idea to employ both of them in a training program? Is the same weight used in both? Reply: In order to properly elucidate on this subject we might require a good many words ["It depends. "], but I shall endeavor to have my say in as brief a manner as possible. Having had considerable experience in this line of work, I am willing to grant that the average beginner might improve on either one of the methods you outline. My personal opinion after handling a good many thousands of cases through correspondence instruction is that a sound basis on which to start the average novice is on a progressive schedule of from 5 up to 10 reps for the majority of exercises, and twice that number for the legs and back. However, after a while I believe it is a good plan to remain for a time on a flat rate of reps, say 10 for the arms and 20 for the legs, and then to concentrate on increasing the resistance. Numerous culturists have achieve admirable results by employing double the number of repetitions mentioned above. Still, I doubt that such plan would be suited to the general run of bar bell users. I am inclined towards the policy of a happy medium in everything, and while taking into consideration the differing potentialities of individuals I am certain that an excessive number of repetitions is inadvisable, and advocate moderately high repetitions for development and a lower number for purely strength purposes. The Breathing Squat is one form of the Deep Knee Bend, or D.K.B., the chief characteristic of which is a definite manner of breathing. For utmost leg development and acquisition of power I advocate much higher poundages than would be recommended in the Breathing Squat. Unless one were on a specific improvement program under the direction of his instructor I consider it a wise plan to include both in the training routine. The use of the series (sets) plan of exercising has many advantages, that is when used in an intelligent manner, and towards some definite goal. Question: I have been training here in the bar bell class at ______ University for two years. Am twenty years of age, six feet, two inches tall and weight 170 lbs. My chief objective is added bodyweight and greater strength. I have worked steadily on the Deep Knee Bend and now do 20 repetitions with 205 pounds at every workout, but my style is unusual in that when I squat my feet are about twelve inches apart and slightly turned in at the toes. As I arise from the full squat, my hips come up first which necessitates considerable rounding of the back. I think I would get better results wit a flat back but am unable to do full squats with a bar bell in this style. Reply: The style used by you in the squat is common, and is the natural manner of regaining the standing position when the feet are parallel and fairly close together, when coming up from a very low position. Even though you 'toe in' to some extent, this places the leg and pelvis bones in the same position as if the toes were pointing more directly to the front. In my opinion, this style could be used to better advantage by the man of short stature and stocky build. I can appreciate that some difficulty may attend your endeavors to master the alternate style, that is, with toes turned out; but if you will persist it will come to you easily after a while. Try standing with the feet a good distance apart, and keeping the body quite erect. It is understood that this erect position of the body will be extremely difficult when the feet are close together. After the muscles become accustomed to the new style, you may move the feet closer together, that is providing it makes the exercise more agreeable to do. In trying this alternate style, it is suggested that you reduce the poundage until accustomed to the changed position. With so much having been printed in Vim regarding the squat (or deep knee bend, if you prefer), I sort of hesitate to run the chance of boring my readers with further reference to the subject, but here is a point which may not have been covered recently by others. Now, please let it be understood that I have no quarrel with anyone as to the style they prefer in placement of the feet and manner of rising from the low position. Personally, I never cared to push myself to the extreme so far as concerned poundage, but preferred to keep within a limit which would permit keeping the spine straight throughout the exercise. This preference of mine may really be due to a distaste for the folded up and rounded back style which seems necessary with the majority of squatters when limit weights are employed. So far as the average culturist is concerned, I consider my style most satisfactory. Moreover, in my opinion, the extremely tall man, especially if he be inclined toward slenderness, should refrain from use of the rounded back style. Therefore, my recommendation in this particular instance is: toes turned out, feet some distance apart, and spine kept straight. It is advisable to consult a physician before undertaking a course of exercise for the purpose of reduction, and particularly if one is bordering on middle age, or is older. Very often the fatty condition is due to some glandular disturbance and exercise may be of little benefit. My physical culture trained mind hates to concede this, but let us take a common sense view of the matter. While there is a possibility that a person might never acquire such glandular disturbance if they adhered to a strict physical culture regime from childhood, it is to be recognized that we are dealing with the average run of people, the majority of whom constantly violate natural laws of diet, hygiene, and activity, ad so it may prove unwise to attempt to lay down any hard and fast rule of exercises. Those who are fat because of some glandular disturbance generally have an accumulation of excess fat on all parts of the body, while those who are corpulent owing to lack of exertion are more apt to have the excess distributed unevenly, with some parts of the anatomy being in pretty fair shape in spite of bulges everywhere. The first rule to observe when undertaking a reduction program is to take it easy -- start in with mild doses -- and be content to progress rather slowly towards more strenuous effort. Now, I say this in spite of anything you may have read or heard, and absolutely disregarding the source of any contrary information. I have noticed that young gym instructors are likely to incline towards the idea of making you work hard and attempt to force the progress, but I warn you that irreparable damage may result from such procedure. It is always better to take the chance of doing too little, and even if it turns out that you are taking it too easy, no great amount of time will be lost. Just recently a Philadelphia policeman died as a result of a hasty attempt at reduction. Being a mounted officer of some years service, he was taken off his horse because of some new rule to the effect that mounted men were to weigh within a certain bodyweight. This man simply was of too large a frame to weigh less and his endeavors to train down brought on a heart attack. If you become nauseated or notice extreme weakness after a period of reduction exercises, something is wrong and an examination might be in order. It is quite common for athletes to accumulate weight as they get older, and especially is this true of those engaged in the more strenuous games, as for instance wrestlers and weight lifters. The typical old time strong man had a figure running towards corpulence, with emphasis on the midsection. This being due partly to less activity than in the flush of his youth, with a generous appetite and sound digestion playing no small part. The average athlete eventually grows tired of an extremely strenuous life and so cuts down somewhat on his activities, while the appetite may be none the less diminished. In addition, the body becomes more accustomed to a great amount of exertion, and tasks which formerly meant great effort grow relatively easy. Indeed, we might continue indefinitely along this line, bringing up one hypothesis are another as to why even the professional athlete ma acquire added girth and heft. However, as applied to the non-athlete if is reasonable to assume that lack of the proper sort of activity is the real answer; that is, barring the possibility of some disturbance in the bodily functions. In the case of the three men whose problem letters are herein reproduced we can feel reasonably sure their condition is due to the lack of proper training of the waist, hip, and abdomen. I am particularly interested in taking off excess poundage on my waist. I weigh 197 pounds stripped and have been working out at a local gym. I have gotten stronger but my weight is practically the same after four months of conditioning. My age is thirty-seven; height 5'6", chest 42; waist 39. I do 45 bench situps every training period is three series (sets) of 15 using a 30 pound barbell on chest for first set of 15. Am getting an abdominal board. Can you suggest anything further I can do to take off my spare tire. My appetite is very good and apparently my metabolic rate is conducive to putting on weight. I've been training with bar bells for seven months and can't get the flesh off my oblique muscles. Have a 40.5 inch chest and 34 waist. My sides bulge at the hip bones, and if I didn't have so much flesh hanging I think I would have a 31 inch waist in spite of wide hips. I train three nights a week and do these exercises on two of the off nights. All of them are done without weights. 100 situps; 25 leg raises; 25 roll-ups; 100 bicycle motion; 50 side raises; 50 stiff-leg bends, touching the floor with my fingers; 50 leg circles; and about three other exercises. I'm the under-stander of a hand-to-hand balancing act.We wear trunks, consequently we must keep from accumulating too much fat. I'm a little too fleshy now around the hips and on the torso in general -- practically no muscular definition. My partner has a beautiful "chiseled" development. Since 1933 I have been dabbling around with weights (8 years) and at present am 5'7"; 172 pounds; chest 42; thighs 23; hips 39; upper arms 14.5. If I had no excess fat I'd weight about 160, and have a 29 or 30 waist, and about 37 inch hips. After a warmup I can military press 175 pounds and do 10 squats with 200. I have fine latissimus development, but poor abdominal and pectoral development. I definitely want to give your Breathing Squat program at least a six-month trial. My ambition: more muscle, less fat, more strength, and a more beautiful physique. I have a fine frame to hang it on. My present program: situps and leg raises on incline board; Roman chair and cuddle situps; two sets of dips; two sets of lateral raises; supine press; side bend with bell in one hand; side bend with bell over head; then I wind up with about ten minutes of pressing and leg work. My repetitions vary from 10 to 30. I'll even make a "hopper" if it is necessary, but it will take considerable diplomacy on my part. Certain qualifications are in order here, and we shall now give some consideration to each individual case. The first man has been exercising four months and complains that in spite of the loss of some waist girth he still weighs the same. I am of the opinion that if he persists in his training and perhaps adds gradually to amount of bending he will accomplish the trimming down of his abdominal region. As for the failure to lose weight, this is due in part to the development on other parts of the body. It is common for a man with a bulge at the waist to reduce that and still gain in bodyweight, owing to enlargement of the chest, thighs, arms, and shoulders. As for the second man, I believe that if he would cut down on the total number of repetitions and add some resistance to certain of the movements he should accomplish more. it must be conceded that he has been doing a tremendous amount of repetitions, and I suggest cutting out the stiff-leg bends wherein he touches the floor, and the leg circles, the bicycle motions, ad the 100 free situps. Let him substitute about about 25 situps with a light resistance and do the side bends with a weight held in the hand. When doing the side bends, it is essential that the bending be done at the waists. Do half of the side bends with the weight held in one hand, and then switch to the opposite side. Keep adding to the resistance, and there need be no limit as to the amount of weight so long as the hips remain stationary and the bending is done in such manner as to effect a strong pull on the muscles at the side of the body. The condition which he is fighting may be overcome if he will continue along this line of action and extend the total amount of work through increasing both resistance and repetitions. With regard to the problem of the third man, I believe that it is very much a question of deciding what he wants to do most of all. If it be a six months trial of the "breathing squat," then that is the sole thing for him to do during that time. I am decidedly of the opinion that this man could have a more massive physique if he were to work towards that end, ad perhaps he has failed to train in a manner sufficiently strenuous. One reason for making this statement is that for a man of eight years experience, 10 repetitions with 200 pounds in the squat is rather elementary work, especially for one interested in stage work. If on the other hand he desires to trim the waist and abdominal region down into a hard condition, I consider this a combination of resistance and repetitions, the one to develop and harden the muscles and the other to burn up the excess adipose tissue. Your health is the pivotal factor in reaching your bodybuilding and powerlifting goals. The greater your attention to health, the harder you will be able to train and the further you will be able to advance. The moment your health falters for any reason, you will suffer immense setbacks. 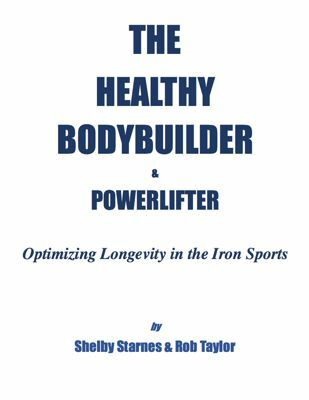 This book covers the details necessary to address every aspect of physical health relating to the bodybuilder and powerlifter. From bloodwork to body scans to supplements; Shelby and Rob explore the latest techniques necessary for optimizing health and detecting problems before they have a negative impact. It doesn’t matter if your goal is to get as big and strong as possible, or if your goal is to live healthy for as long as possible, the key to your goals is the same thing: maximum physical health. 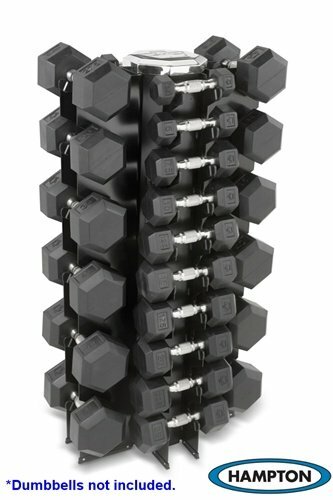 The most advanced bodybuilders will find this dumbbell program as strenuous and result-producing as any they have used. A larger variety of exercises can be done with dumbbells. Your range of movement is not limited, as with barbells. The stabilizing muscles work harder. With dumbbells, you must control the movement in all directions. The results: ligament and tendon strength increases while coordination is improved. You can move your arms together and apart while using dumbbells. You can alternate the left and right side for variety. Muscles can be isolated or large areas worked together as a group. Work hard with this program for two months and see the changes. Use a split routine, working chest, shoulders and upper back the 1st and 4th days; arms the 2nd and 5th days; and lower body the 3rd and 6th days. Take the 7th day off. Dumbbell bench presses will provide a workout you never had with barbells. Take two light dumbbells and do a set of warmup bench presses. Bring them down low, giving your shoulder joints a mild stretch. Go to a heavier weight and do another warmup set. Now, use a weight you can do 6 reps with. Do your reps with your palms forward -- don't turn them in. Push the bells up, touch the inside plates above you. Try for an extra rep or so. Go down to the next lightest weight and do as many reps as possible. Repeat this for a 3rd and 4th set. Do a 5th set with light weights for 15-20 reps.
Incline flyes work the upper chest thoroughly. Raise the bench to a 45-degree angle for a set of 8. Bring the bench down to a 35-degree angle. Do 2 more sets. Bring the bench to a 25-degree angle and conclude the exercise with 2 sets. Make the downward (negative) movements slow and deliberate on these. Decline round-the-worlds can be done on a decline bench or an abdominal board. They are both a lower pectoral shaper and a ribcage builder. Start your shoulder work with upright rows. Start with a heavy weight and go lighter with each set, always giving maximum effort. When you've completed 5 sets, go immediately into the next exercises, continuing down the dumbbell rack. Finish your shoulder work with alternate dumbbell presses. Do 6 reps with each arm. Avoid bending from side to side. If this presents a problem, use lighter weights and perform it seated. Bentover laterals work the rear deltoid, the transitional muscle between shoulders and back. Alternate these with bentover dumbbell rows. Brace your head on a bench for both exercises. This takes the tension off your lower back and assures strictness of form. Do 5 sets of both exercises for 8 reps, or as many as possible, not exceeding 8. Pullovers are often classified as a chest exercise. Though it will expand the ribcage if done with deep breathing, it is primarily an upper back exercise. Next, use a weight belt to attach a dumbbell to your waist. Take a wide grip on a chinning bar and do 5 sets of pullups, 5-6 reps per set. If you aren't strong enough to do that many sets, don't use weight. You may have to boost yourself up with your feet and lower slowly. Use dumbbells you can do 8 reps with on the incline supination curls. Alternate the hammer curls so 5 sets are done with each arm; the dumbbell wrist curls will build powerful forearms. The following 3 triceps exercises complete the arm workout. The intensity of these exercises will not only surprise you, but will build your muscularity as well. Many of you will find this dumbbell-only program so result-producing and tough that you'll stay with it for a long time.